I woke up this morning and the first thing I see when I get on the Internet is that the ‘Crocodile Hunter’ Steve Irwin has died. That news hit me unexpectedly hard. I am really depressed about his death. I really admired the man and what he did and stood for. I really enjoyed watching him on the Discovery channel. He led such a great life and was blessed with a loving wife and two children. He will be sorely missed by me. I little bit of what makes my live worth living has gone out of the world. 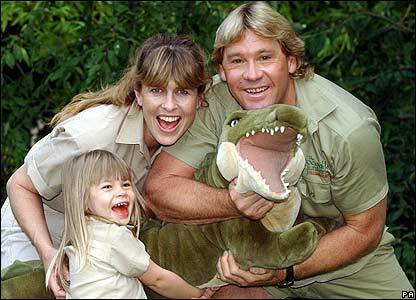 I had hoped some day to go to Australia Zoo and maybe see Steve in person doing what he did so well. Rest in Peace Steve and God bless your family.